How Many Smoke and Carbon Monoxide Detectors Are Needed? How Many Smoke and Carbon Monoxide Detectors Are Needed For the Home? Smoke and carbon monoxide alarms are two of the most important items a home security toolkit can have. Both alarms prevent life-threatening dangers that are oftentimes silent and without warning. Whether the threat be fire, smoke, or carbon monoxide, the greatest threat to a family and home occurs at night when everyone is asleep. In order to be prepared for a smoke or carbon monoxide incident, homes not only need to be equipped with detectors, but they must have the proper number of detectors. How many devices are needed will depend on the size of a home, how many bedrooms, and a few other variables. Let’s examine what your home needs at minimum to be protected, and what you can do to have additional aid. 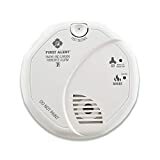 Smoke detectors should be installed inside of every bedroom, outside of all sleeping areas, and on every floor of a home. If a hallway is more than 40 feet (12 meters long), smoke detectors should be installed at both ends of the hallway. Remember to install smoke detectors in basements, dining rooms, and hallways that are not protected. Reminder: Smoke alarms should not be installed in kitchens, attics (finished or unfinished), or in garages because these locations occasionally experience conditions that may result in improper operation and produce false alarms. Pro-Tip: All devices, whether connected to a security system or not, must be powered by always-on power sources or live batteries. 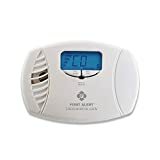 According to the International Association of Fire Chiefs, carbon monoxide detectors should be installed on every floor of the home, including basements. Detectors should be located within 10 feet of each bedroom door, and a detector should also be placed near or over any attached garages. The Association of Fire Chiefs also recommends that detectors be replaced every five to six years, though some detectors are said to last up to ten years. Alarms should always be installed in a central location outside of each sleeping area and on every level of the home. 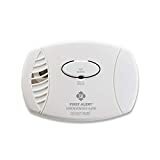 Similar to smoke detectors, the most efficient method to protect the home is by using interconnected carbon monoxide alarms, so that if one alarm goes off, all of the alarms in home sound off together. Reminder: Don’t place carbon monoxide detectors in cupboards, behind furniture, and near an outside door or ventilation. Never place alarms directly next to items that create flames or heat like boilers, cookers or heaters. Alarms should be at least one meter away from these appliances. Similar to smoke alarms, don’t place detectors in areas of high condensation and steam, like a bathroom or a kitchen. For proper efficiency, alarms also should not be placed on a ceiling the way smoke alarms are. Smoke alarms are placed on ceilings because that’s how smoke rises. Carbon monoxide detectors don’t detect smoke the same way. Carbon monoxide enters the body by being breathed in. Symptoms often confuse victims. How does being poisoned by CO feel? CO poisoning often feels like the flu, food poisoning, and other common illnesses. Common symptoms include: shortness of breath, nausea, dizziness, light- headedness, and headaches. At high levels, CO can be fatal and cause death within minutes. Only use gas and charcoal grills outside. Test CO alarms once a month at minimum, once a week if possible. Follow all instructions from CO manufacturer for placement, upkeep, and maintenance. All alarms purchased should be labeled and recognized by a credible testing laboratory. If a vehicle must be warmed up, always remove it from the garage after immediately starting it. Never run a vehicle or any device with a fuel engine indoors, even if garage doors are open. Make sure that exhaust pipes of a running vehicle are never covered, so CO doesn’t seep into cars. For further information regarding CO protection, see our carbon monoxide safety guide here.